The word "amethustos" means "not drunk." The ancient Greeks believed that whoever wore this stone would be protected against the intoxicating effect of wine. Amethyst is a variety of quartz which occurs in a transparent light to dark purple. It has long been treasured by kings and queens as well as high figures in religious sects because of its rich, royal colour. 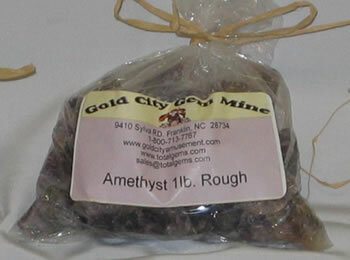 This 1 pound bag may contain stones from 1/4 inch to a full inch.